Joseph is the earthly father of Jesus chosen by God. In the Book of Matthew the Bible says that Joseph was a righteous man. His reaction when Mary told Joseph she was pregnant also showed he was a kind and caring man. He had every right to be angry, and even to divorce her, but he showed her kindness and protected her from further shame. An angel was sent to Joseph the corroborate Mary’s story and he followed God’s plan for him despite the social stigma. After Jesus was born and grew into adulthood, Joseph apprenticed him in carpentry and raised him according to the Jewish traditions. 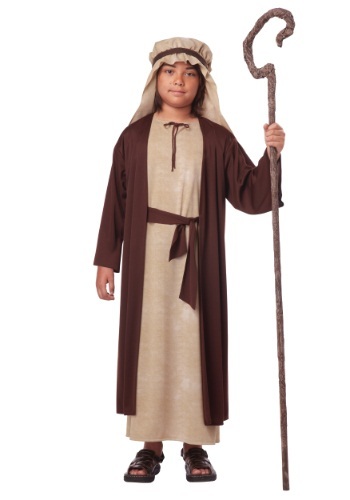 Dress up as a biblical man of integrity in a Joseph costume. Simple long robes tied with a rope and perhaps a cloak would make a good costume for the carpenter Joseph. 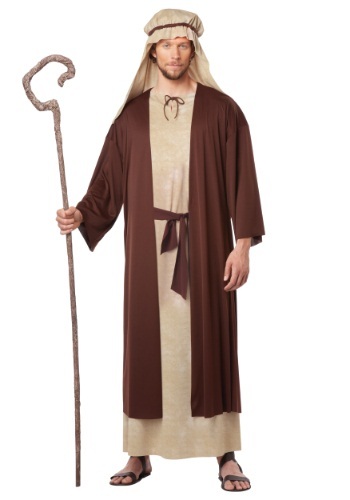 Simple leather sandals and a long brown wig and bushy beard will add authentic touches to your Joseph costume. Perfect for a Nativity scene or for re-enacting bible stories in Sunday School. 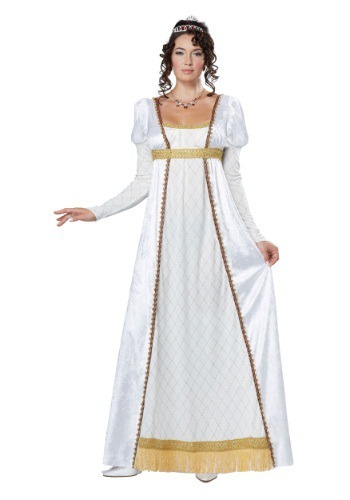 Have friends dress in other biblical costumes such as Jesus, Mary, the Three Wiseman or an angel.